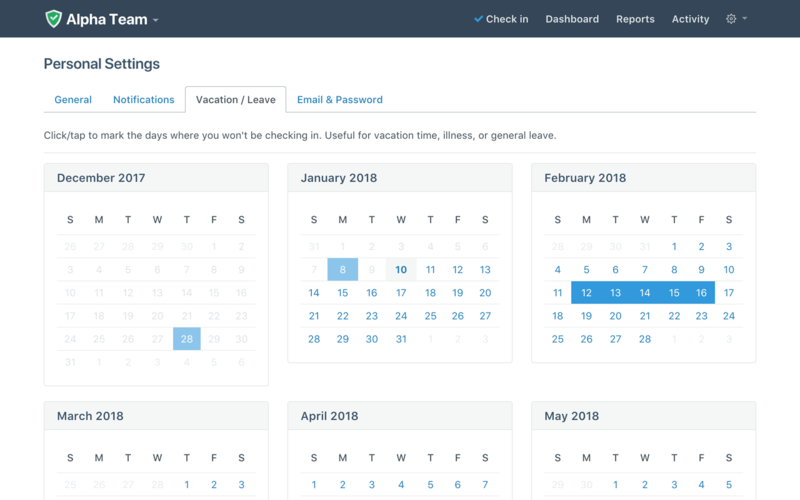 If you’re going on vacation or leave and want to disable check-in prompts while you’re away, go to Settings - Vacation / Leave (Personal Settings - Vacation / Leave for Administrators and Team Managers). Just click on the days where you won’t be checking in. You also have the option to check in as “Absent” when you receive your check-in reminder.